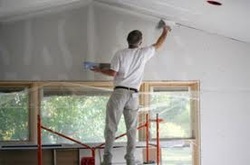 Complete Service offers drywall hanging, tape, mud, and finishing. We also offer a variety of textures and paints see the textures tab for just a few samples. Sample projects pictures below.